I will do my best to update them on a weekly/monthly basis. Enjoy and please feel free to get in contact or comment!!! Don’t forget to bookmark my blog! Could you make an AOSP ROM ? it would be great. there is one on needrom.com but I have not tried it: http://www.needrom.com/mobile/xiaomi-hondmi-wcdma-gacama-aosp/. That rom is a poor porting rom and it doesn’t work well. Thank you. Downloading right now. can we make video calls without internet in this rom? I mean video calls by 3G?? is it possible in any custom rom for hongmi? This is for our phones too ? i won’t dare to flash, i’m afraid i am gonna brick my beloved phone. The “Samsung S4 Redmi” from your mega account is for red rice WCDMA? yes mate WCDMA only, but there is an issue with the ROM so I’ve taken it down. Please do not flash it! Too late, already tried to flash’it but gave me an error in recovery. No problem mate, take your time, there’s no rush . Hello mate, I will look at it again this week, in the meantime I suggest you try the Lewa OS ROM from my mega folder. That has video call through the phone app, but I can’t test it, my sim doesn’t support it. hi marcel201, the S4 ROM has been uploaded to the mega folder, in the Samsung folder. Let me know how you find it. You ported this rom (http://forum.xda-developers.com/showthread.php?t=2429645) ? cause i saw in flash tour the name “carliv” and i remember that i used those roms on my zte v967s. It would be great if you would make it work. sorry mate, I don’t understand anymore. Does the ROM from ROMZJ.com work, does it flash properly? I did not flash it on my phone. Did you try the Lewa Rom? Sorry, i can’t acces ROMZJ.com i don’t know why. Now downloading the lewa os but i really wanted to make the redmi s4 rom to work…. Please, can you download the rom from here : http://www.romzj.com/resources/default.html?view=rom&cid=757&id=14390 and post to your mega account? it’s downloading with 10 kb/s and it would take forever to download’it . Thank you very much . ROM will be up in the Samsung folder in 5 minutes, I have just flashed it and it works great. yes, the official ROM from Lewa with minor updates from me is the one dated 05/04/14. Braw, will download that now and have a go :o) GAPPS included or do I need another package? basic gapps included, so you can add a Google account, but no Playstore. I suggest flashing the miuiandroid gapps package that you can download from my Mega>MIUI folder. Done, thanks very much. Playing with this now and looks great so far! Can you please tell where did you found the new AOSP ROM attached to Mega last 04-14? Is that a real AOSP or it’s ported from another model? did you try it? It is a very, very fast ROM. Don’t suppose there’s a fully WCDMA version available yet? it is fully working on the WCDMA version, I had it installed on my Redmi for almost a week. saw your post. A good one to gather all the ROMs for Redmi and post here. .
or things like that at your post. so it would be easier for us to try the rom. Basically because you dont provide more information about the rom. hi, I don’t understand, are you using the WCDMA or the TD MIUI ROM? could you post a link to the ROM you currently have on your phone? Thanks. We carefull, Hongmi 1S is NOT using Mediatek SOC but Snapdragon SOC. This mean ROMs from both devices will not be compatible between them. So, please take a look before flashing ROMs for 1S. @Arien, thanks. That’s why I wanted to see what ROM he has installed. If i didn’t read wrong a chinese developer has released miui 4.5.15 for our hongmi based on stable 13. Hi again, I was wondering what difference do your MIUI roms have to the official ROM that comes pre installed on the phone? Have you stripped it down or something? the miui roms in my folder have a few apps removed and also the recovery. this way you don’t lose whatever custom recovery you have installed. will your rom (particularly the AOSP / cyanogenmod) work on the Redmi (SG) edition? It’s the WCDMA version sold in Singapore. In theory it should work, the WCDMA ROM. But I don’t know for sure, because I haven’t tried it. Sorry, I wouldn’t want you to brick your device. no worries, I’ll try and get back to you. Worst case scenario I’ll revert to an old nandroid backup. Hiya! Can you confirm that CyanogenMod from this links works on Redmi Note Enhanced (MTK 6592 4×1,7Ghz 2Gb ram) ? Do you think it’s worth sacrificing latest MIUI for the CM? On the side note : do you know when MediaTek will release kernels so overclocking MTK 6592 will be possible? 2,0Ghz looks nice. Side question 2 : by any chance, do you know anything about unblocking additional 3g ranges (850mhz and so on instead of default 900/2100)? I saw some xda posts concerning this issue but for older mtk’s chips. hi mate, DO NOT FLASH any of these ROMs on your Redmi Note, you might end up bricking it. 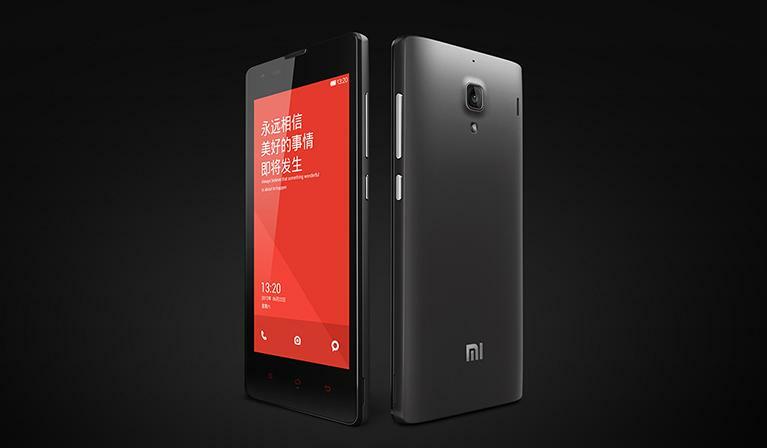 all the ROMs are only for the Redmi 1, they can’t be flashed on any other Redmi model. I would not try to mess about with changing frequencies, and I don’t think it is just something that you can turn on or off. is your network only supporting 850 3g? I didn’t flash with them. At worst, it would only soft-brick my phone, but in that case mediatek flashing tool could easily set it right back up. Not to mention that my hongmi note enhanced is on its way to me, so I couldn’t set my dirty hand on it anyway. Do you know any CyanogenMod build for hongmi note enhanced? Or any news/breakthroughs in regards to MTK 6592? Great blog m8, I see you care about comments and reply to them. Why isn’t your shop widespread around the web? I stumbled upon your blog when googling “hongmi note cyanogenmod” – and it was after I ordered phablet somewhere else which I regret, not only I could support you, but also I could’ve get it cheaper (it’s still 5$ cheapers without coupon, with coupon 15$ save is sweeeet). hi mate, really thanking you for your support. I am in contact with a couple of Chinese developers and all they are working at the moment is MIUI based ROMs, as soon as I know something will get posted it here first. let me know if there is anything you or your friends are after, I can setup group buy deals. 🙂 they will work out much, much cheaper .